Gina Loring, daughter of William Marshall, best known for his starring role in Blacula (1972). Loring released a single, Blacula’s Child, in 2016. Picture: Deborah Anderson/Deborah Anderson Creative. Gina Loring is the daughter William Marshall, a character actor best known in vampire fandom as the star of Blacula (1972) and its sequel Scream Blacula Scream (1973). Going in for the kill. Blacula (William Marshall) attacks Nancy (Emily Yancy) in Blacula (1972). Picture: American International Pictures; MUBI. Marshall played Mamuwalde, an African prince seeking support in abolishing the slave trade who appeals to a Transylvanian count—Dracula. Unfortunately, Dracula turns out to be a particularly virulent racist; he not only rejects the prince’s pleas, he also curses him to the “living hell” of vampirism. Fresh from feeding. Blacula (William Marshall) hunts down another victim in Scream Blacula Scream (1973). Picture: American International Pictures; New York Times. No slouch in the creative department herself, Loring is a poet, vocalist, professor, workshop facilitator and activist. In 2016, she released Blacula’s Child, a single commemorating her father’s legacy. I wanted to know more about her personal connection to Blacula, so I sent along a few questions. Here’s what she had to say. 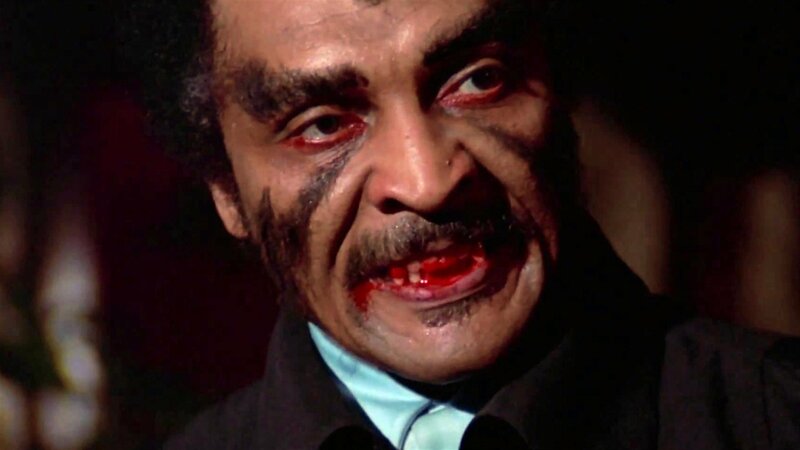 Anthony Hogg: Your father left an indelible impression on vampire fans with his starring role in Blacula. Are you a fan of the movie? How well do you think it holds up today? Gina Loring: Yes, I’m definitely a fan of the film. Blacula is a distinctive movie in that it seamlessly blends the genres of blaxploitation, historical fiction and horror. It’s fun and campy, but it also has a multi-layered storyline that incorporates the slave trade as a foundational factor. Even though Blacula is a vampire, in a sense the audience is rooting for him because we know he’s actually an African prince whose initial purpose was admirable. The film was also groundbreaking in that it illustrated that black actors can play all sorts of roles, from something as regal as a prince to something as mythical as a vampire. Currently, there are several examples of vampires of color in television and film, but Blacula was an anomaly at that time. AH: Riding on the wave of then-popular blaxploitation movies, Blacula is not a stock standard horror movie. There is a layer of pathos in its main character and the racial themes embedded in its narrative; your father even insisted on fleshing out his character’s backstory as an African prince looking for help abolishing the slave trade, but has the misfortune of appealing to a racist Count Dracula. As a creative writing professor, what is your view of the film’s artistic merits? Do its themes still resonate? GL: My father was a Shakespearean trained actor and had great success on international stages, so it’s no surprise that even within the context of a film like Blacula, he took the craft seriously. In the original script, Blacula was a pimp, and it was his input that shifted the narrative of the film for the character to be rewritten as African royalty. That’s quite a pivot. I think that in itself speaks to the social responsibility and artistic merit of the film, and its thematic relevance. Unfortunately, the themes of racism, greed, and lack of integrity within humanity all remain current, so the storyline still resonates. While Blacula may have had an impact, people of color continue to be marginalized or excluded entirely from most mythical, fantasy and science fiction films. We need more movies like Blacula that provide actors of color a platform to play evocative and complex characters, both hero and villain. AH: Have you seen Blacula’s sequel? It isn’t as highly regarded as the first movie, but what’s your thoughts on it? GL: Yes, I’ve seen the sequel. Like the first one, it’s campy and fun, but the storyline and production style differ a lot from the original. It went in another direction and didn’t really pick up where the first one left off. It definitely wasn’t well received by the critics — Roger Ebert gave it a super low rating, but also stated my father brought a “terrifying dignity” to his role, and said Pam Grier “had a spirit and enthusiasm that’s refreshing,” so there’s that. AH: I’m interested in your connection to your father. After all, you “grew up watching him on TV and film, but didn’t meet him until” you were 20 years old. What was your awareness of the fandom around his role as Blacula beforehand? Did it resonate with you? 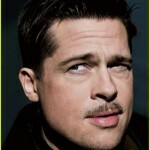 GL: I was born and raised in LA, but not particularly immersed in show business or the recipient of any kind of nepotism. I saw him on TV in various guest starring roles, and eventually saw the movie, but I was more affected by his absence than the notion of who he was as an actor. It wasn’t until the last chapter of his life that I was able to spend time with him and get a broader understanding of who he was in the world. He had an amazing life. Sidney Poitier spoke at his memorial, as did Paul Winfield, Marla Gibbs, and other notable members of the black theatre world. As an actor and an activist, he lived in Europe for several years and worked alongside greats like Paul Robeson and James Baldwin. My dad was a complex dude in that his public persona and his personal life were vastly unaligned. AH: Why did it take so long for you to meet? How did your meeting come about and what was your relationship with him like afterwards? GL: That’s a question only he could answer. A parent choosing not to be involved in their child’s life isn’t something I can even begin to understand. Unfortunately, I’m in good company with many people who grew up in single parent homes, including my siblings, who I also didn’t meet until later in life. I always knew at some point I would want to make the connection, and when I was in college, my mom encouraged me to contact him. It was a daunting and difficult decision, but it was something I felt I needed to do. Once we connected, I saw him on a regular basis, which ended up being a huge blessing because he was in the beginning stages of Alzheimer’s and passed away a few years later. The time we shared was life changing and meaningful on many levels. AH: Did he bring up Blacula often or did you have to goad him into talking about it? I know he had a deep attachment to the role as he often tried to get a third instalment made. GL: Sorry to disappoint, but I don’t recall talking much about the film. I will say that there was a rumor he had the original coffin from the film somewhere in the garage, but I never saw it. AH: Many children of celebrities often feel diminished by their parents’ legacy, especially if they work in similar fields, but you seem to have embraced it with your single, Blacula’s Child. Considering your own extensive background in the creative arts, was that a deliberate risk? GL: I’m proud of his achievements, but my story has the added paradox of his absence and the complexities of that. My career has had very little to do with him, other than certain poems where I’ve shared aspects of my lived experience as a fatherless child and what that looks like in my life. I started playing with the concept of the immortality that film and television provide, and looking at creative ways to flip the vampire mythology in relation to that. In a sense, when someone has been captured on film, they live on in that even if they’re no longer living, you can watch them move and speak and breathe again. I also feel that if we choose to, we can still be very connected to those who have transitioned, so I was also playing with that element of spirituality. Blacula’s Child is the result. AH: Personally, I think it’s a great track. Beyond being an obvious nod to your father, it “lyrically blurs the lines between fiction, myth and reality.” But what does it mean to you? Do you truly feel like the daughter of a vampire? GL: Yes. I am an infinite soul who was never born and will never die. Just kidding. But not really. From a spiritual standpoint, I think that’s true for everyone. In relation to my father, I think all absent parents become mythologized by their children to a certain degree. We don’t know them on a personal level, so all we have are our genes and our ideas of who we think they might be as individuals. My father was a shadow in my childhood, someone who was not present but who was larger than life in the background through the gaping hole of his absence. As an artist, that invites an ocean of possibility in terms of creative expression. I thought it would be fun to explore fusing my truth with what the vampire mythology embodies, and experiment with the imagery and wordplay that naturally lent itself to that idea. so I sent along a few questions: Questions emailed to Loring on October 24, 2017. Answers received October 26, 2017. “terrifying dignity”: You can read the rest of Ebert’s Scream Blacula Scream review on RogerEbert.com, July 4, 1973, accessed October 26, 2017, http://www.rogerebert.com/reviews/scream-blacula-scream-1973. Saved link: https://web.archive.org/save/http://www.rogerebert.com/reviews/scream-blacula-scream-1973. –ed. “lyrically blurs the lines”: Ibid. November 6, 2017: Credit to Deborah Anderson Creative, embedded with hyperlink, added to picture credit. Originally credited to Deborah Anderson alone. November 7, 2017: I have made the following alterations to Loring’s responses: “move and speak and breath again”; “breath” corrected to “breathe.” Also, “of my life” has been removed from “larger than life in the background of my life” to avoid repetition. These alterations were made on request from Loring (e-mail, October 31, 2017). I initially declined to make them due to my desire to preserve the integrity of her initial responses until she mentioned that “This is the first interview I’ve ever done about my father, and I’d like there to be no misspelled words” (e-mail, November 7, 2017). Couldn’t argue with that. –ed. You can listen to Blacula’s Child on Soundcloud and buy it on Amazon, CD Baby or iTunes. For more info on Loring’s extensive background and creative pursuits, check out her Twitter, Instagram and website: http://ginaloring.com/.